For example, I opened a DRIP (dividend reinvestment plan) account with my energy provider (Duke Energy) and simply mailed a check to its plan administrator periodically. Similarly, I wrote checks to Fidelity and Janus mutual fund companies, designated to certain funds. Then, I just watched as my wealth grew, partly due to regular contributions and partly due to increase in share values. Many no-transaction-fee, no-load mutual funds are available through online brokerage firms. Many of these fee-free choices are index funds that are passively managed (the funds track a specific index, such as the S&P 500, so fund managers focus on maintaining positions of stock in the S&P 500 rather than devising and implementing fancier strategies to make money). An easy way to locate these funds are through the use of screening tools found in the log-in area of a brokerage firm's interface. Filter selections by “Fee” and specify “No Load & No Transaction Fee” offerings. To completely avoid fees, notice whether there is a fund redemption fee, which are often charged to investors who sell shares less than 180 days after buying them. These fee-free mutual funds typically have minimums set by the mutual fund company or the brokerage firm. Minimums may range from $100 to $3,000 for initial investments and up to $1,000 for additional investments. Schwab has recently introduced no minimums on certain funds. Many online brokerage firms have a roster of commission-free ETFs available to their customers. Generally, these offerings can be found by using ETF screening tools. Some or all of these ETFs may have a short-term trading fee; that is, if you buy and sell shares of a commission-free ETF within a 30-day time period, then you may owe a fee that is typically equal to the brokerage firm's standard fee for stock and/or ETF trades. Also, an ETF may be commission-free when you purchase shares but its status may change later, and you'll be charged a fee for future purchases and/or sales. Typically, the minimum investment is the price of one ETF share. Certain mutual funds are available directly from fund companies at no charge. For example, you can buy mutual funds from FundX Upgrader Funds offered by the FundX Investment Group, which also offers portfolio management for private clients and publishes an investment newsletter; and Motley Fool Funds developed by Motley Fool Asset Management, which is run by the same folks who oversee the The Motley Fool website and its subscription investment newsletter service. These funds tend to have higher-than-usual expense ratios compared to market index funds as they are actively managed. But many often have no sales load or transaction fees associated with their purchase. When I started investing, I could (and did) buy funds directly from fund companies. Today, some of these organizations have morphed into full-fledged brokerage firms, such as Fidelity, whereas others have more of a hybrid approach, such as Vanguard, which facilitates fund purchases and brokerage activities separately. There are opportunities to invest without paying transaction fees. 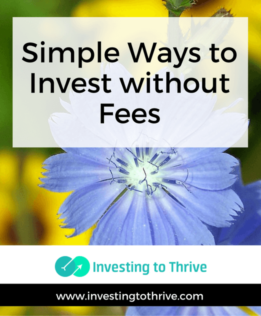 When I first started investing, I took advantage of these fee-free choices. Many years later, I still look for these opportunities to save money on fees.